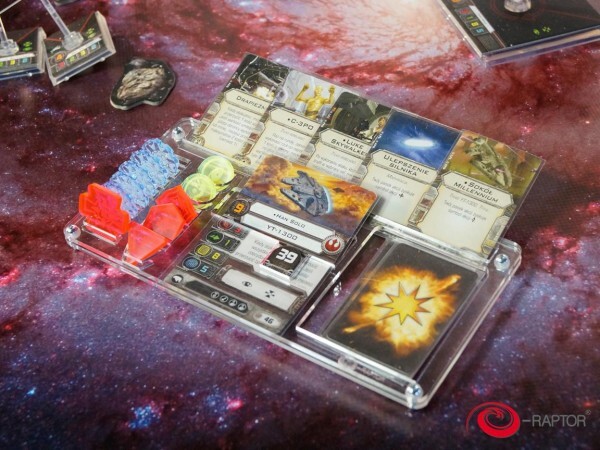 Produktinformationen "Game Organiser Compatible with Star Wars X-Wing"
Organizer SWX is created for great convenience of one of the best games ever! It is compatible with X-Wing! All cards and tokens which you need for your spaceship, now in one place. It's portable and durable. Perfect accessory to help players keep playing area in order and improve the game itself. Table space can be at a premium with some board games take a lot of space. And so do a lot of the meeples, tiles, cards, pawns, tokens e-Raptor is a Polish company that is doing its best to present a solution to these problems, and some of their solutions are extremely crafty and satisfying! Focusing on cost-effective components that perform well and are flexible, they have an impressive range of products to make the board game table a much more inviting place. From simple to assemble dice towers and boxes, to lavish card holders and some really cool stands to keep all your game pieces in the right place. 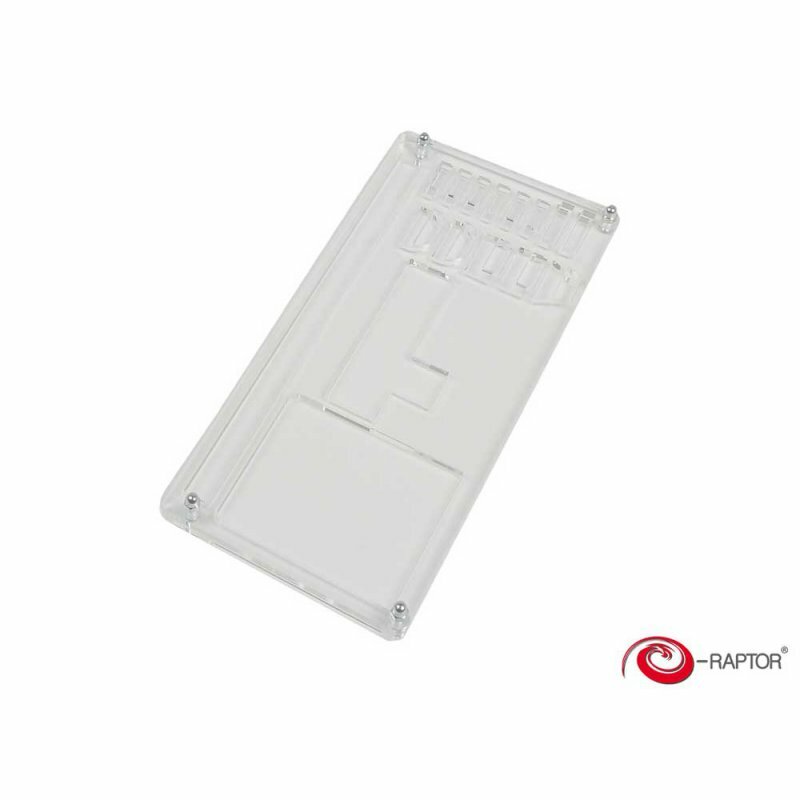 Sent wonderfully packaged, this incredible Game organiser will be sent swiftly and before you know it, it will be sitting proudly on your desk and receiving admiring comments from all your family, friends and colleagues! Easy to assemble and fit practically all kind of games boxes. Weiterführende Links zu "Game Organiser Compatible with Star Wars X-Wing"
Kundenbewertungen für "Game Organiser Compatible with Star Wars X-Wing"